I was eating Nutella before Nutella was cool. My younger self’s favorite spread was always thickly smeared on warm bread rolls with a glass of hot chocolate milk. Some decades later, chocolate milk was swapped with coffee and Baileys Irish Cream was occasionally mistaken for creamer. 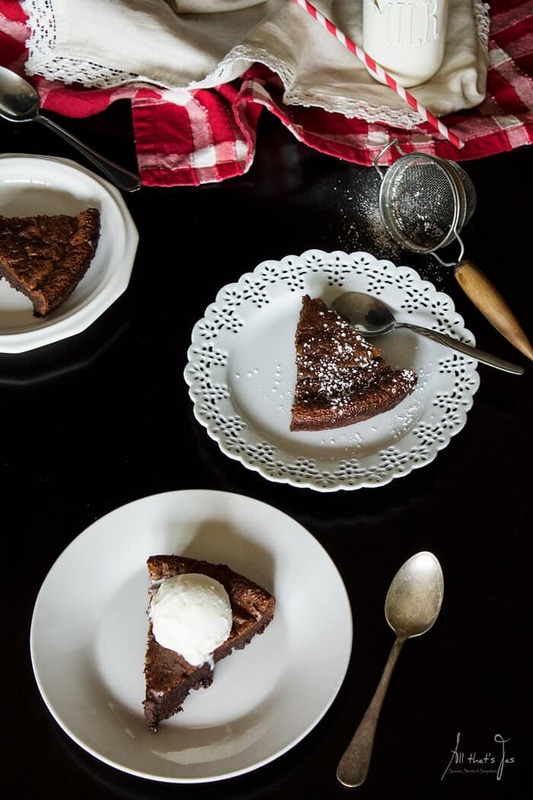 Combining these two ingredients in a cake (a brownie cake nonetheless) is just so natural. 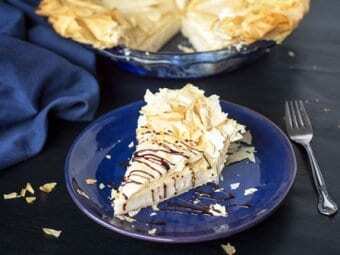 What could be better than a two-ingredient recipe? Don’t say one ingredient recipe. It wouldn’t classify as a recipe anymore. A three-ingredient recipe is a correct answer, especially if booze is involved. I love cooking with alcohol. 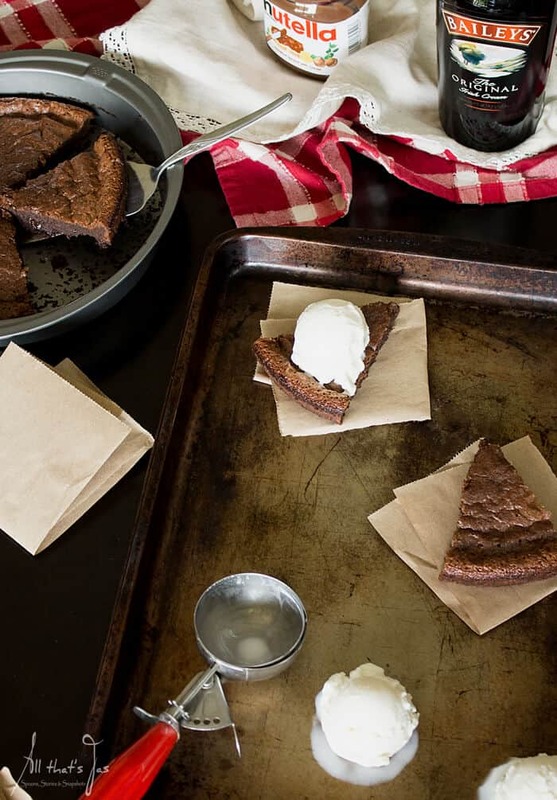 For a while, two-ingredient brownies were on everyone’s radar. 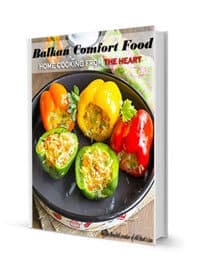 I made them back then, loved them, and shared the recipe on my Facebook page. Didn’t think it was worth blogging about. I mean, mix the eggs and Nutella and bake. Not exactly a rocket science. Then, one evening last week I craved Nutella crepes but was too lazy to make them. I remember these easy to make brownies. Improved with a shot of Baileys I thought the brownies deserved to be a cake. But why stop there? Topped it with ice cream and even made Baileys caramel sauce, recipe by Cravings of a Lunatic. It.was.heaven. Even better with some homemade Baileys. Preheat oven to 355 degrees Fahrenheit. With an electric mixer beat the eggs until tripled in volume and fluffy, about 5 minutes. Add a shot of Baileys and continue to mix until just combined. Remove the lid and seal from Nutella jar and microwave for 30 seconds to soften. Pour Nutella into a large mixing bowl. 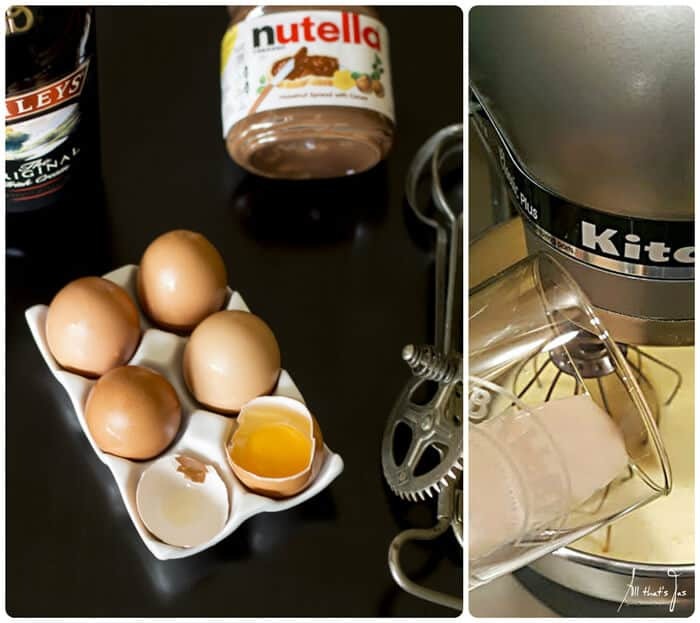 Fold the egg mixture gently with a spatula into Nutella, one-third at the time. Transfer into a greased 9″ round or square baking pan. Bake for 20-25 minutes, or until top is set. Put the butter, sugar, and salt in a saucepan. Heat over medium heat until the sugar melts and turns golden brown in color, stirring occasionally. Remove the pan from the heat and add Baileys (sugar will harden). Return to the stove and cook, stirring as needed, until the sugar melts and combines with the Baileys to make a thick caramel. Add milk or cream as needed, until you have thinner sauce. The sauce will thicken significantly as it cools. Let cool at room temperature. Refrigerate the unused sauce. Reheat as necessary and add more milk until you have pliable consistency. 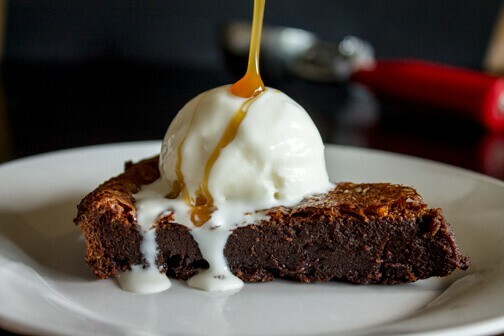 To serve, top the brownie slices or squares with ice cream and drizzle with sauce. 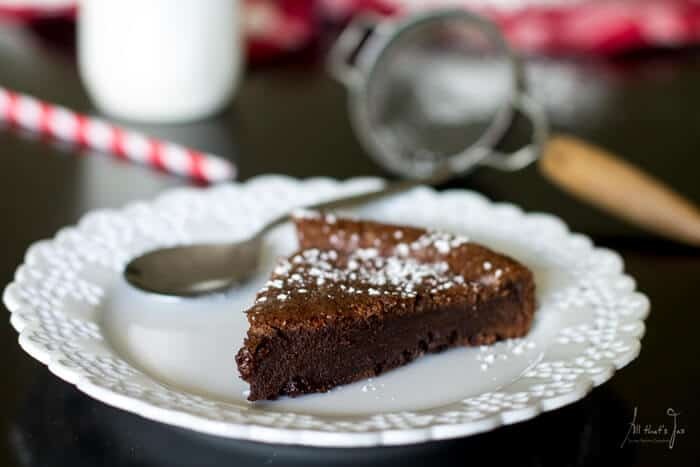 Intensify the flavor of flourless Nutella brownies with Baileys Irish Cream. 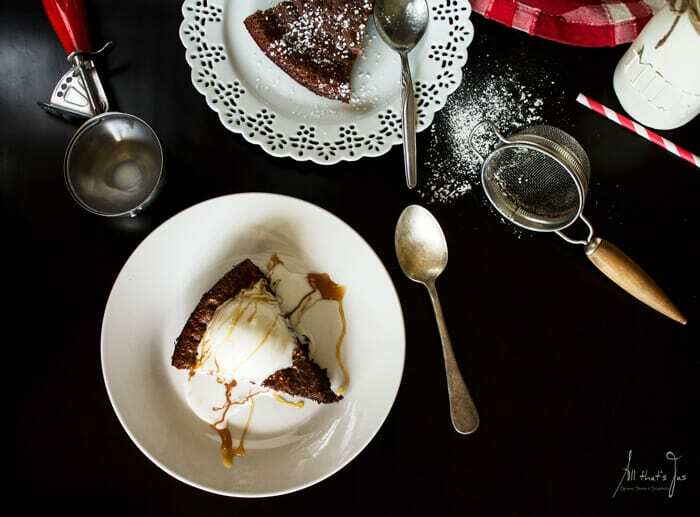 Ice cream and a drizzle of Baileys caramel sauce is the perfect icing for this scrumptious cake. Remove the lid and seal from Nutella jar and microwave for 30 seconds to soften. Pour Nutella into a large mixing bowl. Fold the egg mixture gently with a spatula into Nutella, one third at the time. Transfer into a greased 9" round or square baking pan. Bake for 20-25 minutes, or until top is set. Yum yum! You make the best pairing of decadence, Jas! I haven’t had nutella for a long while! Oh, honey, the stores there should be stocked up to the ceiling with Nutella 😀 I bet your kids would love it, just don’t feed them right before the bed, lol. Congratulations! Your post was my feature pick from my Commenters at #ThursdayFavoriteThings this week. Visit me on Wednesday evening and to see your feature and grab your badge! 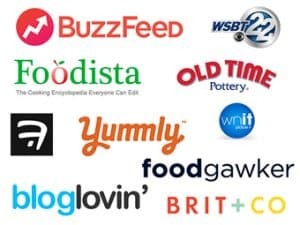 All hosts choose their own features so be sure to return to my blog I invite you to leave more links to be shared and commented upon. I need this in my life! Brownie anything is pretty much my favorite dessert. Plus this has nutella and Bailey’s? YUM! Thanks, Jenna! Can’t go wrong with these ingredients, right? Lol. Have a super duper weekend! Oh, this looks so delicious! What a perfect dessert! Thank you, Courtney! 😀 Have a great weekend! Thank you, Pamela! 😀 Have an amazing day!!! Num! Two of my favorite things – Baileys and Nutella! Oh, yum. 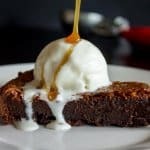 This dessert brownie sounds yummy. Thanks for sharing at the #InspirationSpotlight Party. Pinned & shared. Jas, the Nutella brownie cake looks so delicious!! I’m sure it tastes amazing!! Thanks for sharing the recipe! Hi, Keri! It dangerously does! Since it’s so easy to make I have to make a conscious effort not to bake it every day, lol. 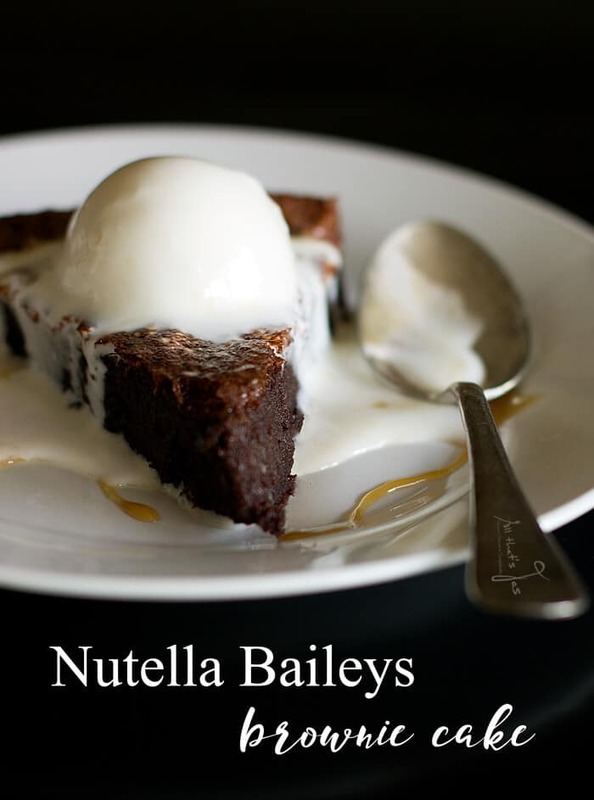 This looks absolutely divine, two of my favourite things, Nutella and Baileys.